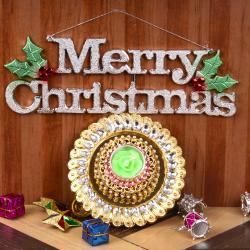 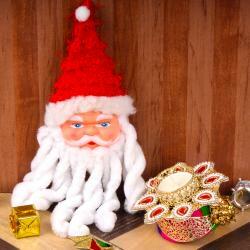 Product Consist : Santa Hair Band alongwith Christmas Greeting Card and 2 Designer Floral Candles. 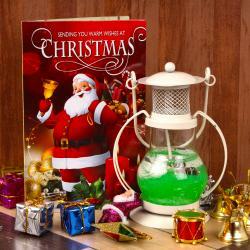 Giftacrossindia brings this artistically created Christmas candle for your home and office decor on festival of Christmas. 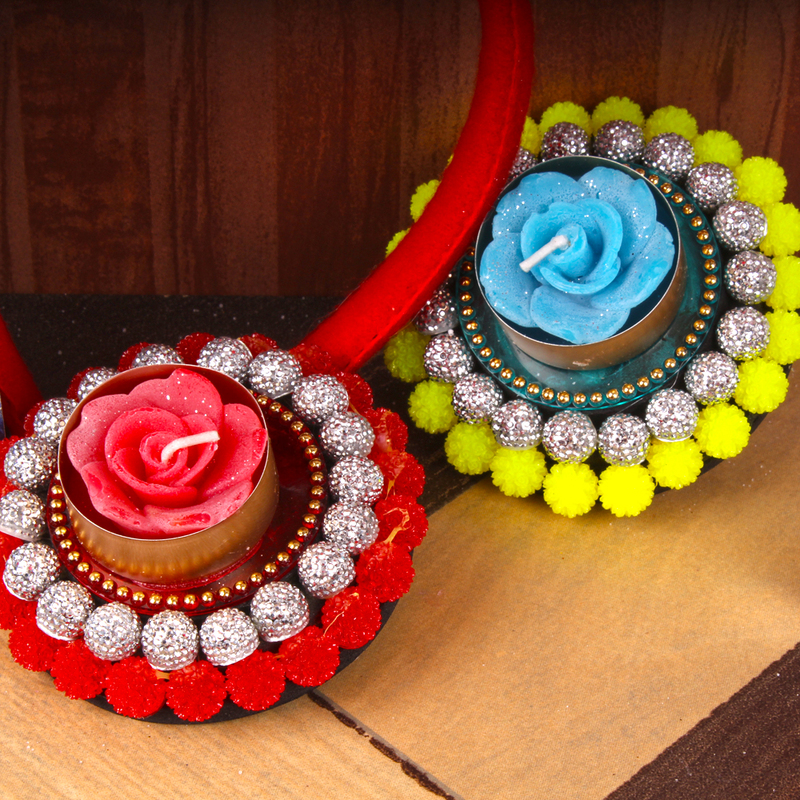 We cannot imagine Christmas without candles, here we bring a floral designer candle along with attractive Hair Band and Christmas Greeting. 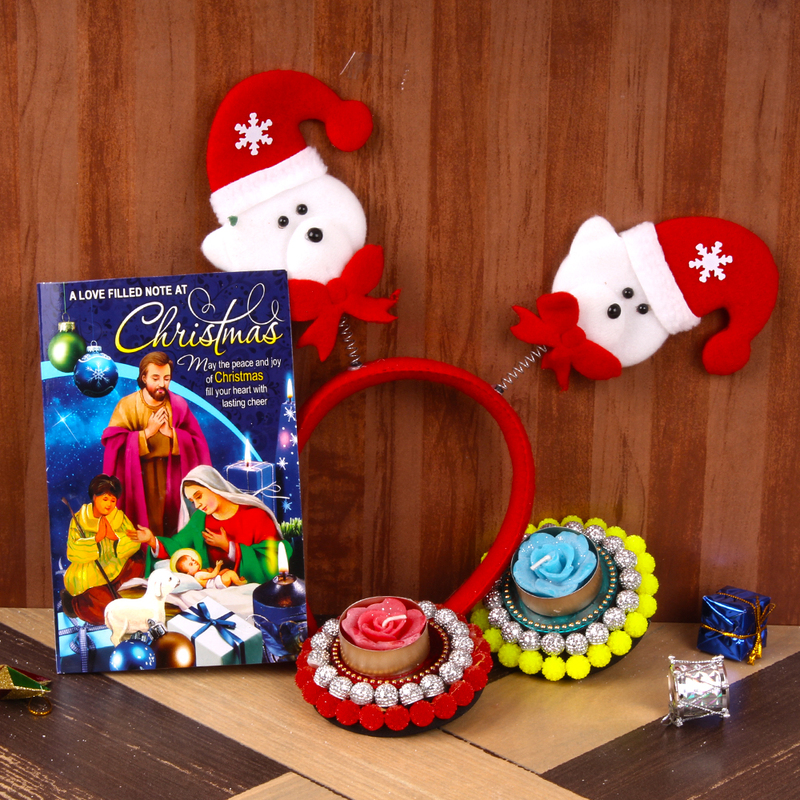 You will definitely love this Santa Hair Band which can used to attend any Christmas celebration or Xmas theme party along with Greeting Card. 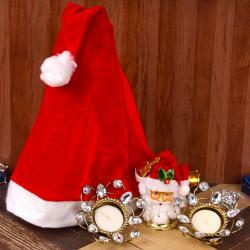 Product Consist : Santa Hair Band alongwith Christmas Greeting Card and 2 Designer Floral Candles.